Add gluten-free spaghetti to a pot of salted water and cook according to package instructions, or until al dente. Meanwhile, quarter cherry tomatoes. Halve and juice limes. Slice lime for garnish, if desired. Wash and shake dry arugula. 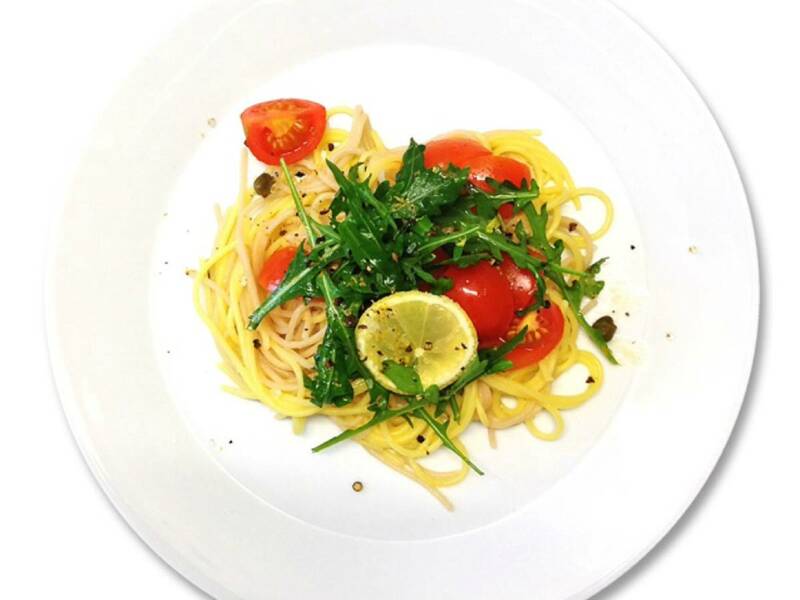 Drain spaghetti and add to a bowl, together with tomatoes, lime juice, capers, and olive oil. Mix well and season to taste with salt and pepper. Serve with arugula and lime slices. Enjoy!